Not only does the warming correlate with our greenhouse gas emissions, the atmosphere is warming in the way you’d expect, and the actual imbalance of heat coming in versus heat escaping back to space has been measured. The evidence is abundant and of many kinds, direct and indirect. There is no wiggle room left. Global warming is real and we are the cause. Many of the people who resist that conclusion may actually be worried that our society might change drastically, that we’ll regress to living in caves or something. But we can have clean energy and we can fix many of the other problems while maintaining a comfortable life, and even improving it. Unless, that is, we fail to change what we are doing. That is by far the biggest risk of regression, even collapse. It’s true there has always been climate change, but you might not have wanted to be around for a lot of it. Most of it was very slow, but even that caused many extinctions. The more rapid changes, triggered by big volcanic eruptions or meteorite strikes, caused mass extinctions. The present change is very rapid compared to most, and we are in the early stages of what can become a mass extinction, unless we rapidly change our ways. Do you wish that risk on your grandchildren? An irony is that we’ve had 10,000 years of remarkable climate stability during which our vaunted civilisation has arisen. The present global industrial system is extremely fragile, and will very likely collapse into simpler forms even if we do pull back from the flames. Some form of ‘civilisation’ will probably continue, but it’s not clear what. Meanwhile around half of the Great Barrier Reef is dead. Surely you’ve heard that? The thing almost no-one says is that global warming has momentum, it will continue for several decades almost regardless of what we do. It’s hard to see the Reef being more than a small southern remnant after that. Several summers ago we also lost vast tracts of mangrove forests across the north and vast kelp forests off the west coast. 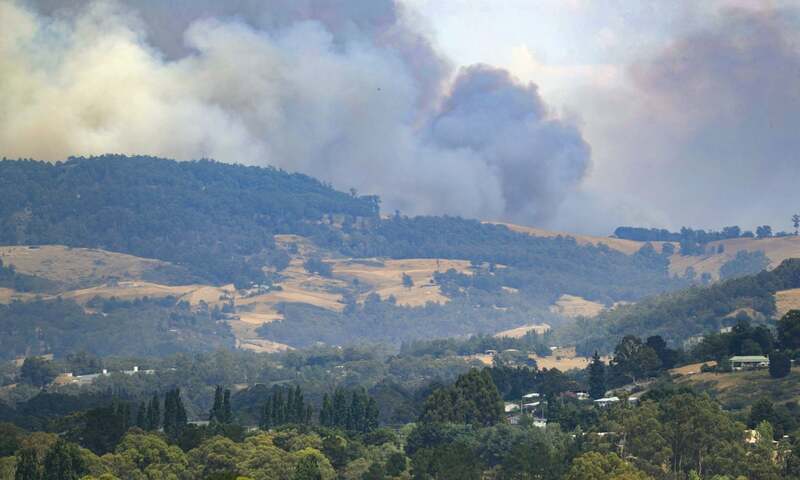 Now the ancient alpine heaths and Gondwana forests of Tasmania are burning. They haven’t burnt for thousand of years and they won’t easily recover. The Darling River and the Coorong were in big trouble during the millennium drought, and now there are mass fish kills. Our fire fighters and disaster managers, the ones who work on the ground, are speaking very clearly: we are experiencing unprecedented heat, floods and fires. It means we are in the early stages of a vastly greater calamity. We don’t know if we can turn it around, but if we don’t try it will come upon us remorselessly. Spot on, Geoff. I’ve enjoyed reading your book ‘little …green…..economics’ and will pass it on to others. Still having problems understanding the issue of money creation. Re climate change/ global warming – I suggested that the climate council should change to global warming some time ago. There is an issue of the current supper chill caused by the wildly meandering polar vortex to complicate things. Yes, I try to explain to people that we are massively increasing the weather energy systems, so an overall increase in temperature will also be accompanied with extremes at both ends of the spectrum. Most people think 1 degree increase is not significant, but it makes them think when you point out how much extra energy that represents to heat all the atmosphere, the oceans and the land! I tried to get the message across to farmers by showing them a graph of weather/climate variability here in Australia and then tilting the horizontal axis upwards (and widen the variability a bit) – so we still have minimums as well as increasing maximums. That kills the deniers who claim minimums support their beliefs. Like you, I worry about my grandchildren – no, even my children. I thinkn they will face a much nastier climate and one where we can;t use ‘100 years of data’ to predict the future.